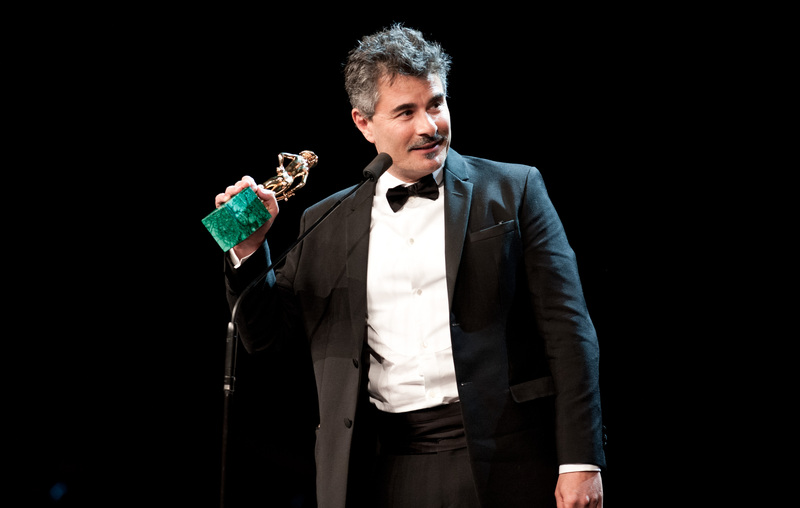 During the X edition of the International Film Festival Italian Movie Award ®, which began on the 26th July 2018 and lasted until August 6 of the same year, and which was set in the historical town of Pompeii, the festival received an overwhelmingly positive response from both audience and critics. It has therefore been decided that in honour of its 10th anniversary, the award ceremony will be held in New York inside the prestigious Frank A Bennack Theater at the The Paley Center for Media in Manhattan on December 10, 2018 at 7pm. 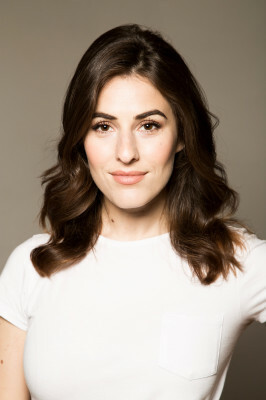 The event is in partnership with Plural + Youth Video Festival organized by the United Nations and in particular by UNAOC (United Nation Alliance Of Civilization), and the SHRO (Sbarro Health Research Organization) directed by Dr. Prof. Antonio Giordano. Event organized with the precious collaboration of Tony Minervini (Tooslik Communication NYC). Leads the event Luca Abete and Diana Del Bufalo. Exclusive meeting with the film director Paolo Genovese. 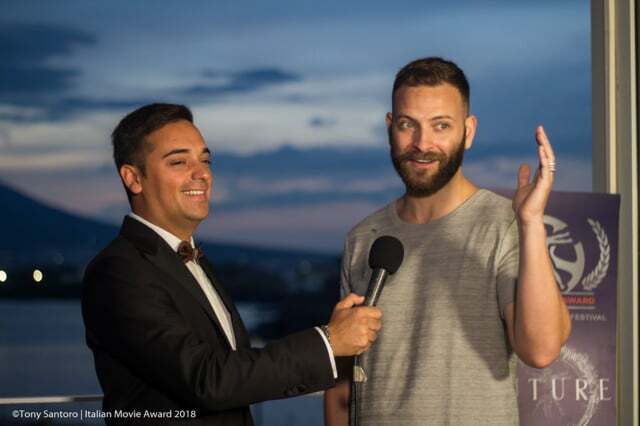 Award to the actor of the film “On My Skin” Alessandro Borghi. 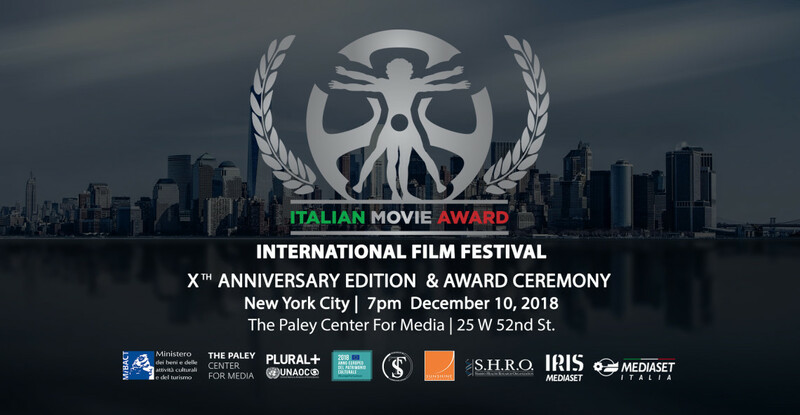 Given the presence of many film festivals in Italy, an executive decision was made to change the modality in which cinematographic works of feature films, documentaries, and short films are selected and awarded. The selection which determines the nomination is based on an original new criterion: Jury Roots (made up of the most important Italian origin communities abroad) ratifies the best Italian works abroad by statistical, cultural, and cinematographic parameters. Criterion 1: awards won and foreign language film nominees. Criterion 2: numbers of projections and/or extent of distribution abroad. Criterion 3: participation to festivals and fairs abroad. Criterion 4: international value of the work (production, cast, screenplay, location). Each work has to be in Italian, shot on national Italian territory and including a cast and production of which at least 50% is Italian. THE FESTIVAL: It was born in 2009 from the innovative project of its founder and current president, the film director Carlo Fumo, who came up with the idea of a cinematographic international festival that could enhance the unique Italian cultural and historical heritage and its tourist industry. Not a simple festival/event, but a proper network of young experts able to create audiovisual works, spread the cinematographic culture by means of projections of works coming from all around the world, attract investments guaranteeing the presence of great personalities of the cinema and educating young people by means of masters and advanced training workshops. All these features, gathered inside of a great region such as Campania, have created a cultural, turist and educational appointment unique in its kind. NUMBERS: In the latest editions, the numerous marks of esteem, the powerful audience participation and the presence of great personalities, have brought the festival beyond national borders. On the occasion of the 69th Cannes Film Festival and the 74th Venice International Cinematographic Art Exhibition, prestigious collateral events have been created in New York and Mosca which are the official locations of the next edition together with the Italian one. 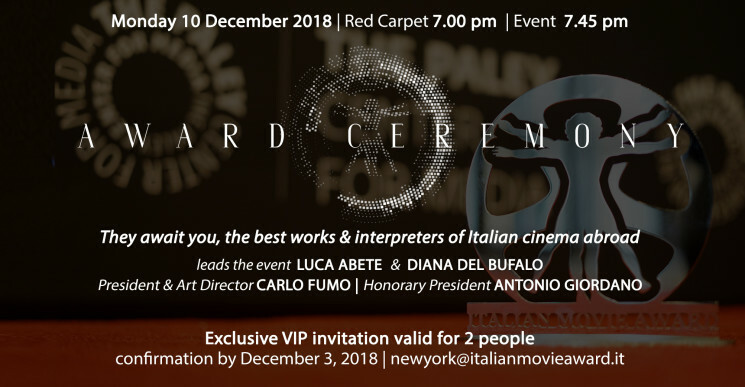 AWARDED ARTISTS IN THE PREVIEWS EDITIONS: Mrs. Matilda Raffa Cuomo, Michele Placido, Luca Argentero, Cristiana Capotondi, Chiara Francini, Alessio Boni, Valentina Lodovini, Raoul Bova, Salvatore Esposito, Alessandro Siani, Laura Chiatti, Riccardo Scamarcio, Pif, Alessandro Borghi, Carolina Crescentini, Giampaolo Morelli, Marco Bocci, Massimo Boldi, Biagio Izzo, Rocco Papaleo, Cristiana Dell’Anna, Giulia Michelini, Miriam Leone, Sabrina Impacciatore, Gianmarco Tognazzi, Maria Sole Tognazzi, Edoardo Leo, Carol Alt, Paolo Genovese, Massimiliano Gallo, Edoardo De Angelis, Sydney Sibilia, Sergio Rubini, Luca Ward, Marco D’Amore, Stefania Orlando, Gianluca Ansanelli, Don Luigi Merola, Giuseppe Ferrara, Pietro De Silva, Marco Risi, Giorgio Diritti, Davide Silvestri, Claudio Malaponti, Nicola Maccanico, Frank Matano, Matteo Martinez, Fabio Fulco, Salvatore Misticone, Luca Abete, Matteo Branciamore, Cristina Donadio, Davide De Marinis, Casa Surace, Vittorio Sodano, Marco Belardi, Alessandro Bencivenni e tanti altri artisti. With Marcello Fonte, Edoardo Pesce, Nunzia Schiano, Adamo Dionisi, Francesco Acquaroli. Genre Drama – Italy, 2018, duration 100 minutes. With Adriano Tardioli, Alba Rohrwacher, Tommaso Ragno, Luca Chikovani, Agnese Graziani, Sergi López, Natalino Balasso, Nicoletta Braschi. Genre Drama – Italy, 2018, duration 125 minutes. With Stefano Accorsi, Carolina Crescentini, Pierfrancesco Favino, Claudia Gerini, Sabrina Impacciatore, Giulia Michelini. Genre Comedy, Drama – Italy, 2018, duration 105 minutes. With Giampaolo Morelli, Serena Rossi, Claudia Gerini, Carlo Buccirosso, Raiz, Franco Ricciardi. Genre Musical – Italy, 2017, duration 134 minutes. 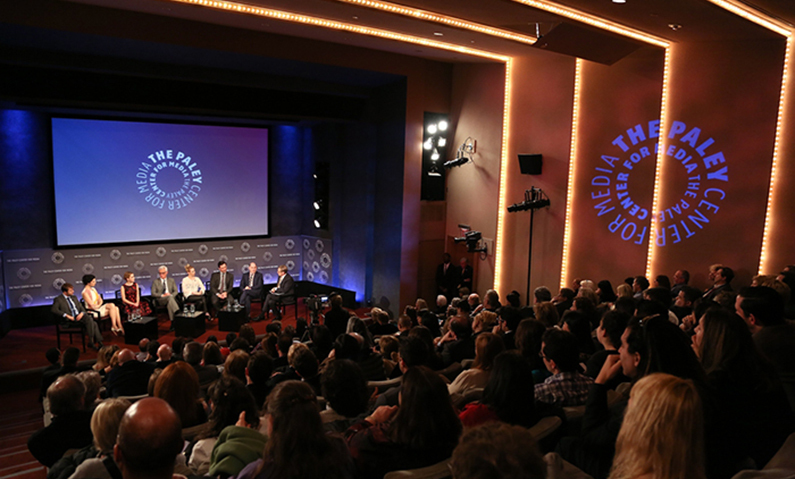 With Claudio Santamaria, Marco Giallini, Jerzy Stuhr, Flonja Kodheli, Agnieszka Zulewska. Genre Comedy – Italy, 2018, duration 104 minutes. With Isabelle Huppert, Roberto Benigni, Hanna Schygulla, Ornella Muti, Sergio Castellitto. Genre Documentary – Italy, 2017, duration 77 minutes. With Barbora Bobulova, Anita Caprioli, Carolina Crescentini, Silvia D’Amico, Isabella Ferrari. Genre Documentary – Italy, 2017, duration 75 minutes. With Daniele Ronco, Gianmarco Aragno, Juan Carlos Cid Esposito, Pier Felice Filippi, Michele Riccio. Genre Documentary – Italy, 2017, duration 52 minutes. With Toni Servillo. Genre Documentary, Italy – 2018, duration 94 minutes. With Roberto Benigni, Renzo Arbore, Lino Banfi. Genre Documentary, Italy – 2017, duration 78 minutes. With Angelarosa Orsini, Roberto Citran. Genre Short film, Italy – 2017, duration 13 minutes. With Arianna Gambaccini, Franco Ferrante, Vito Facciolla. Genre Short film, Italy – 2018, duration 10 minutes. With Andrea Pisani, Marilù Pipitone. Genre Short film, Italy – 2018, duration 15 minutes. With Fabrizio Falco, Barbara Ronchi, Ione Bertola. Genre Short film, Italy – 2018, duration 15 minutes. With Linda Mresy, Francesco Colella, Belhassen Bouhali, Basma Bouhali. Genre Short film, Italy – 2018, duration 14 minutes. With Alessandro Gassmann, Maria Pia Calzone, Massimiliano Gallo, Mariano Rigillo, Renato Carpentieri. Genre Animation – Italy, 2017, duration 86 minutes. With Sergio Castellitto, Guglielmo Poggi, Elena Sofia Ricci, Clara Alonso, Tonino Taiuti. Genre Comedy, Italy – 2018, duration 96 minutes. With Stefano Accorsi, Kasia Smutniak. Genre Drama, Italy – 2018, duration 104 minutes.